Heuchera 'Pear Crisp'. 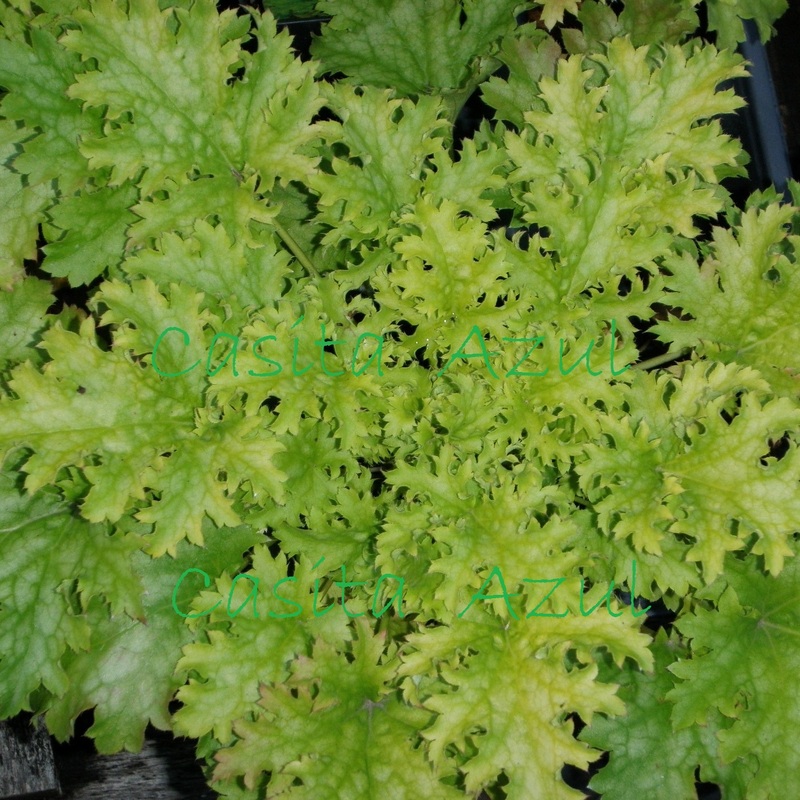 A 2011 addition to the "Crisp" family of coral bells from Terra Nova Nurseries. Terra Nova states it best... "Take the warm yellow of sun-ripened pears and apply a tight ruffle and you have 'Pear Crisp'". This coral bells performs best when protected from the mid day sun. A super seller that is brightening up hosta gardens everywhere! PP#23568.